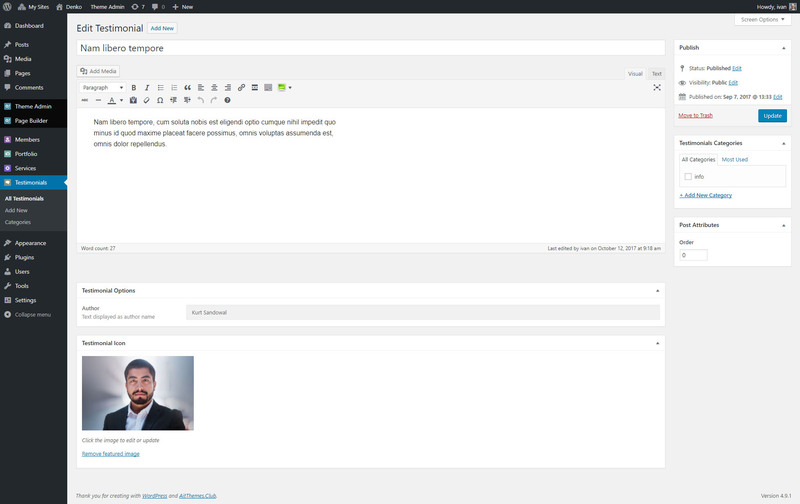 Testimonial posts are available in the main WordPress menu under “Testimonials” menu item. 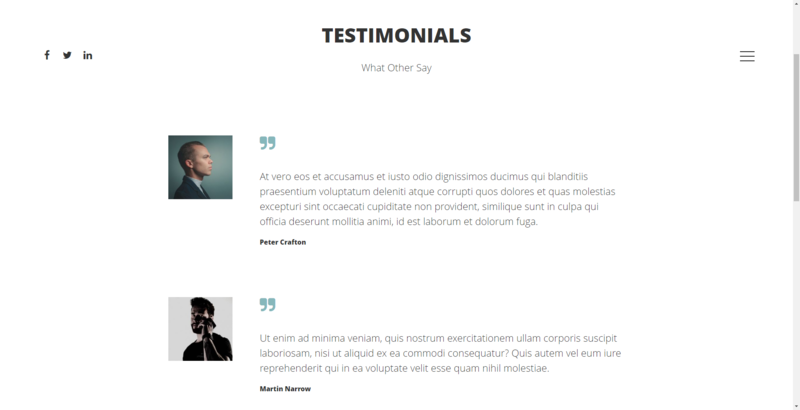 Once you have created Testimonials posts, you can use Testimonials Element in Page Builder to show created posts on the page. Options in element allow you to select which category of posts would be displayed and you can define also order of displayed posts.